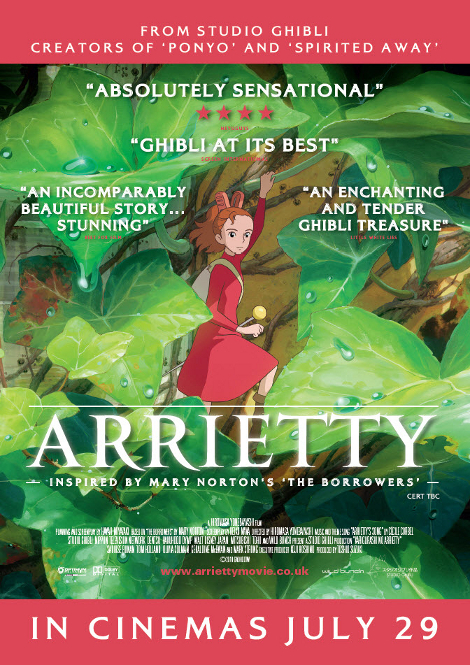 Our competition winner will receive a cute poster for the new Studio Ghibli film Arrietty PLUS Ponyo, Spirited Away and Howl’s Moving Castle on DVD which we will send out to you in the post next week. Posted in Food and tagged Anime, competition, manga, Studio Ghibli. Bookmark the permalink. COMPETITION: Win a £60 Voucher for Toku Restaurant and Japanese Cinema Tickets!